There’s a common misconception that dementia is a natural part of aging. This isn’t true at all. In fact, both Alzheimer and dementia only affect one in 14 people over the age of 65 and one in six over the age of 80. But there are things you can do to reduce your risk even further, keeping your brain healthy and sharp well into your golden years. Research shows that one of the biggest things you can do is keep your physical and mental health in check. This starts with getting daily physical activity. Not only will this help you stay active, but it also promotes blood flow. Since the brain requires upwards of 20% of blood flow for health, that daily walk or yoga class will help keep your brain in good shape. Even if you do develop dementia or Alzheimer’s, physical activity may help slow the progression of the disease. Studies have found that aerobic activity is the best for cognitive function. Although strength-building exercises have other benefits, it’s important to make sure you’re working in walking, jogging, or even a dance class for brain health. As we get older, our social circle tends to shrink, especially once we retire and lose ourwork associates. Unfortunately, that isolation can be harmful to brain health, with studies directly linking loneliness to an increased risk of developing dementia. Even if you feel shy and enjoy your alone time, a little social interaction will help with your cognitive function. There are various ways you can get out and meet people. One is to volunteer. There are plenty of nonprofits and religious organizations that are always looking for help. Find something you believe in and offer your support. You can also find local groups, such as book clubs or age-specific gatherings, where you’ll likely form long-term friendships. 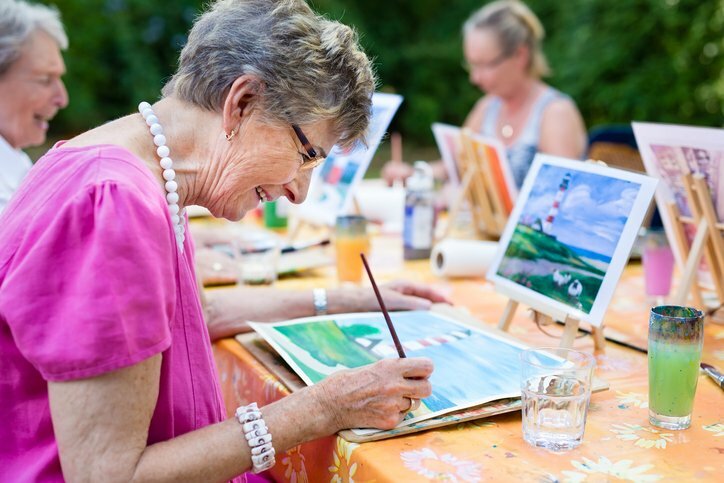 One way to not only stay active but improve your quality of life is to find a hobby that will engage your mind. Reading has been linked to a reduced dementia risk because it keeps your brain active. Other brain-boosting activities like crossword puzzles and games can also help. You may even be able to find a group of people who meet to play games on a regular basis, combining your need for brain health with the socialization you need. But the best hobby is one you actually enjoy. If you’ve always wanted to learn to play a musical instrument, now is a great time to learn. It’s also a good time to take a dance class or learn to paint, sew, or garden. You’ll keep your brain active while also having something to show for your efforts. As people age, it’s also important to have those uncomfortable conversations with family. Discuss with your loved ones the care you would want if for some reason you do experience cognitive decline. Your family should feel comfortable starting that type of conversation, as well. The more people can openly communicate their care preferences,the more likely they’ll be well cared for in later years.